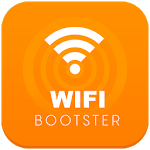 Wifi Booster is best app for analyzer and boost your connection speed. 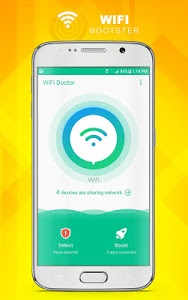 After you tap on a network, WiFi analyzer will inspect even more details about it! 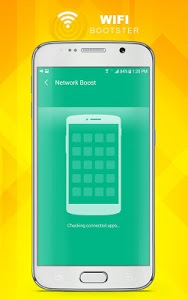 Strength of network signal is shown in easy readable circle progress, titled with percentage value of strength. In detail scan of wireless network you can also see signal strength in decibel-milliwatts (dBm). There is also a signals chart, which helps you to inspect all signal strengths in one view. 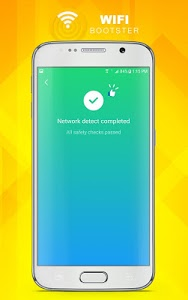 If you want to analyze just some of them, you can hide the unwanted networks with button below the chart. Chart also supports user interaction, so you can easily zoom in or out and move across chart's axis. 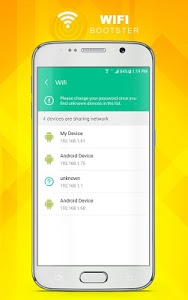 * Adjust channel WiFi connection faster wireless Internet. * DNS Cache cleaning for increased Internet speed. * Improved pre buffering video on YouTube or other video sites like Vimeo, Netflix, DailyMotion etc. * Reduce the total system memory. * Depending on the phone, it will improve signal reception. 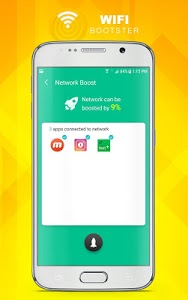 * No need root required. 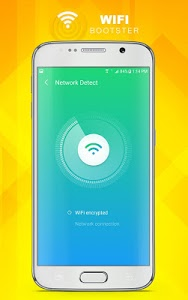 Wifi Manager easy connect automatically detects analyzer and wifi connect to free, public or not properly secured finder Wi-Fi networks with repeater internet access. 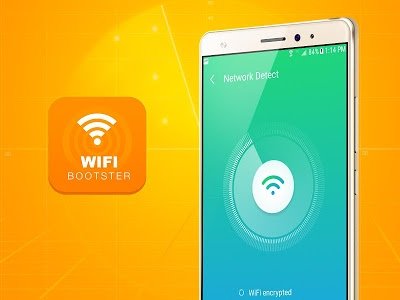 Similar to "Wifi Booster - Wifi enhancer"